Fall in Love with 3rd Grade SPELLING! It's fall! 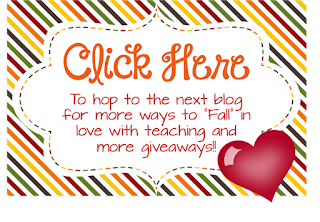 Thanks to the 3rd Grade Tribe for hosting such an awesome Blog Hop! I'm excited to share with you about teaching a subject I have recently FALLen in love with: spelling! Spelling has not always been my favorite. Actually, math was always my favorite and still is. Since my first years of teaching, I feared I wasn't teaching spelling the "right" way. I didn't want to sabotage my students by teaching them ineffectively! Does anybody else ever have worries like this? Am I the only one? 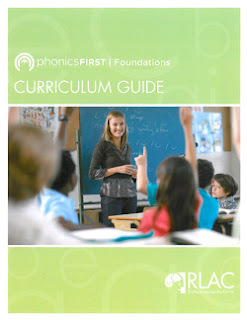 Our district trained all its elementary teachers in Orton Gillingham-based Phonics First from RLAC. 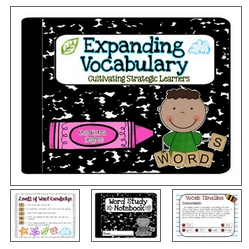 It's a great resource for teaching phonics. Our PreK-2nd grade teachers use it. As a 3rd grade teacher, I pick up where O-G leaves off. Or at least I should. Up until this year, my initial screening at the beginning of the year never indicated that my students had mastered every layer of O-G. This year, a large portion of my students are already pros at the spelling patterns I taught last year. No sense in wasting time teaching concepts they've already mastered, right? I start with generating our spelling lists. That's another whole blog entry, but suffice it to say for now that the kids choose their words that follow a pattern. I have three differentiated spelling groups: Scholars, Pupils, and Sages. The Scholars work on Layer 3 of Phonics First. The Pupils work on the Appendices of Phonics First. 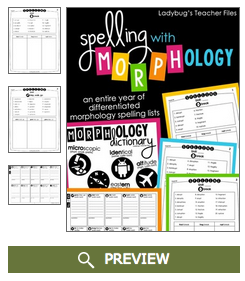 And my Sages work on Greek and Latin roots, ala Ladybug Teaching File's Spelling Morphology. Love her word lists for my higher group! Each week, the Sages focus on a selection of Greek & Latin roots with similar sounds/meaning. First, the Sages sort the 15 words by root. Of the 15 words on the list, my students choose five unfamiliar words to be their spelling words for the week. We use a dictionary app to speed up the process. I want to focus on the meaning of the words more than dictionary skills. I think they're getting the hang of it! For homework, my students take their lists of self-selected words home and complete 15 points worth of activities from Lisa's monthly spelling contracts. 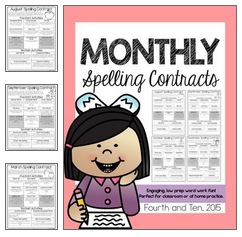 My students love having the power of CHOICE in their homework and these spelling contracts allow them plenty of choice. Many of them choose one pen-and-paper activity and one multi-sensory activity each week as their homework. Classwork is just as fun. Inspired by some of Fourth & Ten's multi-sensory ideas, I made my own Spelling Bingo cards. We use them in the classroom to provide multi-sensory spelling practice throughout the week. The ideas are collect from all different techniques teachers have used throughout the years. Check out all the blurry spelling action going on here!! Magnet letters, play-doh spelling, and ABC stamping--these spellers are ENGAGED in learning! I made a smaller (3x3) board for the beginning of the year, which is great while we're still learning routines. Then I made a larger spelling bingo board (4x4) when we're ready to add more options. 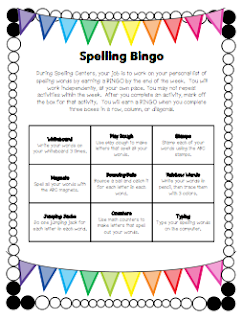 Kids work on their Spelling Bingo cards throughout the week to practice learning the spelling pattern. I love that kids aren't just learning 10 specific words, but a pattern that will help them spell countless other words! You can try out my Spelling Bingo cards in your classroom for FREE! Just click below to download both the 3x3 and the 4x4 spelling bingo boards. Okay, I can't just stop there. I'd love to give away another product--ANY PRODUCT--from my Teachers Pay Teachers Store. I love giveaways!! I'm giving away YOUR CHOICE of any product from my TPT store! 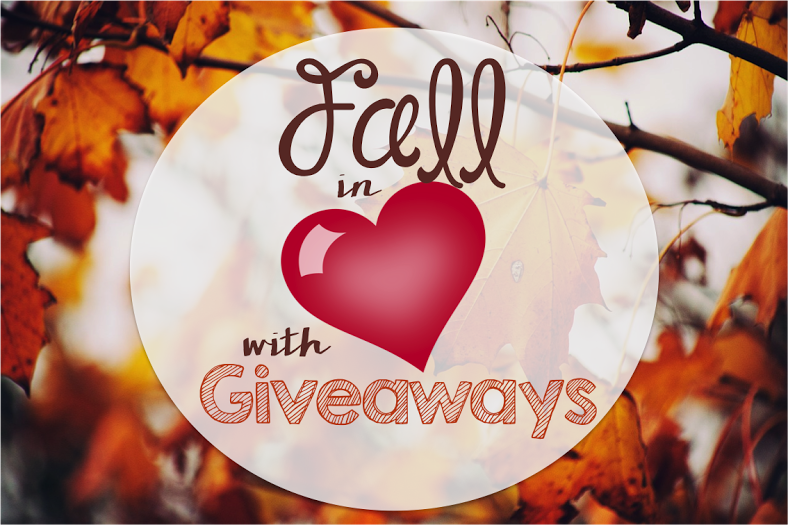 Enter to win through this Rafflecopter giveaway. Entries must be in by Sept. 30. 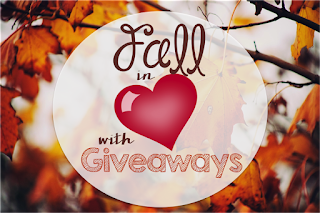 And if that's not enough, this blog hop also features a GRAND PRIZE giveaway! 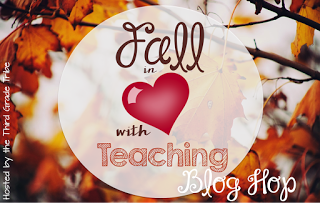 Want more Fall teaching goodness? More giveaways? Click the image below to go to our next stop on this Fall blog hop! Thank you for sharing how you've set up your spelling program - it's awesome! I know that spelling can be such a struggle to make engaging and differentiated - and you've done both! I love when I see an idea click for a student who was previously struggling! Yes! And how it encourages them to try again! Math is my favorite subject to teach also! Thanks for the teaching tips. It's so fun! Thanks for reading, Amber. I love the small successes that students experience every day that lead them to reach their bigger goals. Yes. It's so great to see all the pieces towards their success fall into place. I love when the light goes on in my student's eyes - when he or she has made the connections and "gets it". Thanks for the giveaway! Yes! It warms my heart. I love when you connect with a child and feel like your making a difference. That keeps me going. I so agree. Sounds like you have a done an amazing job figuring out how to teach spelling so kids will enjoy it! The kids that finally get something that they are struggling with. Thanks for the giveaway and for sharing your spelling program. What I love about teaching is when I see the proverbial "light bulb" light up! Such a wonderful feeling. Love your ideas! We use a basal reading program-- so our words are already dictated for us. Sometimes I wish I could give my kiddos more of a choice! I enjoy working with kids, seeing their smiles, and getting some great hugs. I really like seeing students finally master a skill they struggles with for a while! Having parents tell you how much you matter!